London, United Kingdom – July 6, 2016: HM Revenue and customs forms background with British currency coins. HMRC is the department of the UK government that is responsible for the collection of taxes. 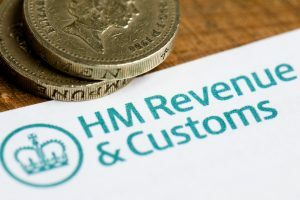 HM Revenue and Customs (HMRC) introduced two new income tax schemes: Cash basis and Simplified expenses from 2013-2014 tax year onwards. The aim of the Cash basis and Simplified expenses schemes is to save small business owners time and money, particularly those providing services, such as hairdressers, window cleaners, taxi drivers, gardeners, painters and decorators, plumbers and electricians. If you are a small incorporated business, sole trader or partnership with an overall yearly income of less than £79000, which is the tax registration threshold, you can choose to use the Cash basis method instead of traditional accounting rules. By using this method, you will only be taxed on the money coming in and out of your business. This implies that you will not be required to make any accounting adjustments when you file your Self Assessment tax return at the end of tax year. This method does not apply to Limited companies and LLPs. For more information visit: HMRC – Cash basis overview. private use of a business premises as a home. This means that you will not have to calculate actual business related purchases of your overall costs for any of these three expenses but instead you will be allowed to use a predetermined flat rate. For more information visit: HMRC – Simplified expenses overview. HMRC has produced a YouTube video to help you decide if the schemes are right for you and your business. Or alternatively you can watch one of HMRC’s webinars.